It is with great sadness to inform our members that Eric Roberts, our branch secretary and UNISON president, passed away suddenly and unexpectedly this afternoon (24 Nov 16) after being recently diagnosed with cancer. The entire branch is in shock and at this sad time our thoughts and love are with his family. Eric led our branch from the very beginning when UNISON was formed following the merger of NUPE, COHSE & NALGO back in 1993. He was a staunch trade unionist and very proud to work for the London Ambulance Service. In June this year he was elected to serve as president of the entire union. 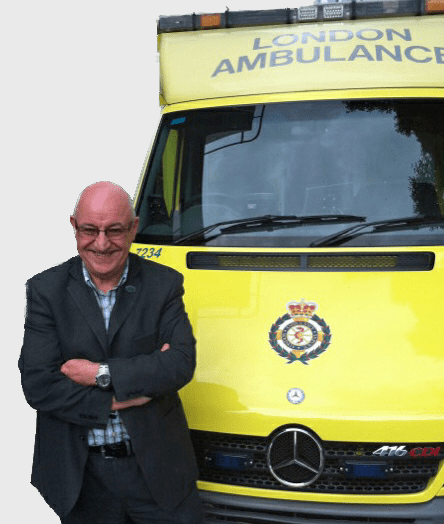 Eric’s many achievements are to numerous to mention including within the LAS, National Ambulance and even International with the support he gave to the people of Cuba by arranging for old ambulances to be sent there and refurbishing a control room. He has led the branch through some difficult times and achieved considerable success. This is a very sad time for us all and a further statement will be published later. UNISON is collecting tributes to Eric – if you would like to add your own please email action@unison.co.uk.